Federer replaces Scarlett Johansson as Moet's global brand ambassador in ad campaigns that will begin appearing in March 2013. In a video press release, Federer noted that he felt honored to be working with such a "traditional and glamorous brand". The 17 time Grand Slam winner also said "working with such a prestigious brand is a dream come true". 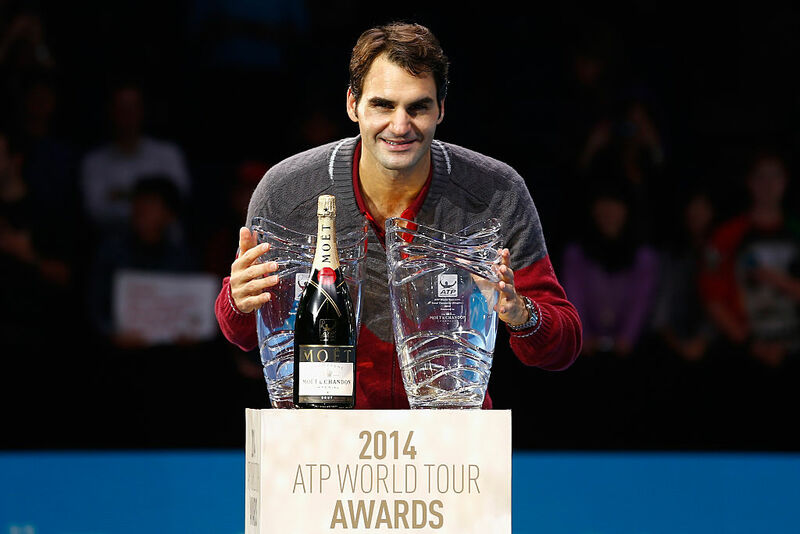 Moet & Chandon joins a long and enviable list of Federer sponsors. Federer already brings home north of $50 million per year, of which only $8.5 million comes from tournament prize money. The other $41.5 million comes from one of the most impressive sponsorship portfolios in professional sports. Federer has endorsement deals with Rolex, Mercedes-Benz, Nike, Wilson rackets, Lindt Chocolates, Gillette razors, Credit Suisse and NetJets. His Nike deal alone is worth $10 million a year. Federer is the fifth highest paid athlete in the world behind LeBron James ($53 million), Tiger Woods ($60 million), Manny Pacquiao ($62 million) and Floyd Mayweather ($85 million). Moet & Chandon is one of the oldest and most prestigious champagne makers in the world. Founded in 1743 by Claude Moet, today the company employs over 1700 people and has annual revenues of $1.5 billion. They produce 26 million bottles of champagne per year. Moet has a Royal warrant to be the official champagne supplier to Queen Elizabeth II of England. In addition to Moet & Chandon, the company also produces Domaine Chandon and the ever prestigious Dom Perignon brands. Outside of the wine making world, Moet & Chandon also co-owns luxury goods company LVMH Moët Hennessy. Headed by French billionaire Bernard Arnault, LVMH employees nearly 90,000 people and earns more than $30 billion a year off brands such as Bulgari, Donna Karan, Dior, Fendi, Marc Jacobs, Sephora, Tag Heurer, Thomas Pink, Veuve Clicquot and many more.